Today on Flashpoints, we’ll have a report from Occupy Wall Street where the word is that the police will be moving in force tomorrow; Friday morning. We’ll also feature our new Daily Occupation America report with details from border to border and coast to coast on the new emerging protests against corporate power and greed. And Jeb Bush in San Francisco now being billed as the new “education visionary” in America. Is he planning to run for president? 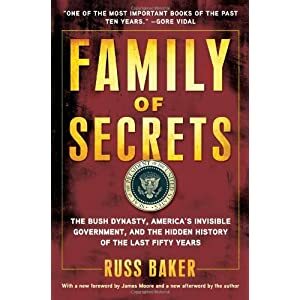 We’ll hear from Russ Baker, author of Family of Secrets, on the powers of the Bush clan. Guests: Thorin-Media coordinator and content manager for websites at Occupy Wall Street, Jess Sundin—Of the Committee to Stop FBI Repression and Stephen Downs Legal Council for project Salam (Support and Legal Advocacy for Muslims), and Jeff Mackler-The United National Anti-War Committee. Flashpoints, why no coverage of Occupy Oakland? There is an amazing space being created here. Please cover the East Bay in addition to SF.